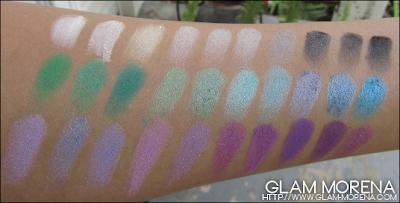 Glam Morena: Review/Swatches: Sedona Lace 120 Pro Palette. 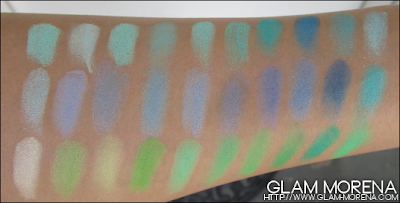 Review/Swatches: Sedona Lace 120 Pro Palette. A few weeks I recently received the Sedona Lace 120 Pro Palette. I own a couple 88 eyeshadow palettes, so this time around I wanted to get a 120 eyeshadow palette. 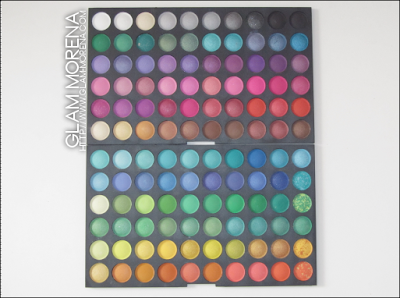 There are a few different versions of the 120 Palette available. The 120 Palette I'm going to be reviewing is the First Edition. 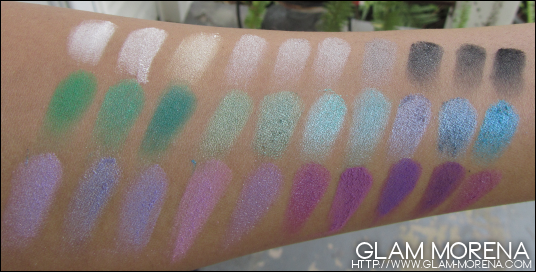 Description: This Wonderful bright set of 120 shades includes shimmer and matte finishes. Has 2 layers for portable and convenient use. These shadows are long lasting and extremely vibrant. The soft powder makes it easy to use wet or dry. 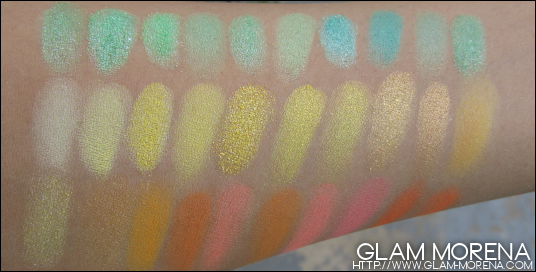 Overall Thoughts: If you're a fan of colorful eyeshadows and bold looks then this is the palette for you! 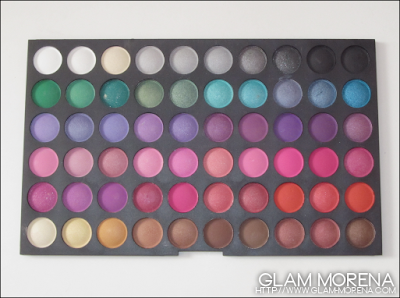 Unlike with some of the 88 palettes I do find that the colors are more pigmented in the 120 palette. 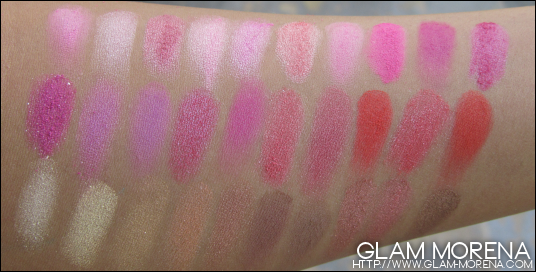 There are a few shades that apply more sheer, but the majority of the shades have great pigmentation. I have filmed a couple tutorials using this palette if you are curious about the quality. 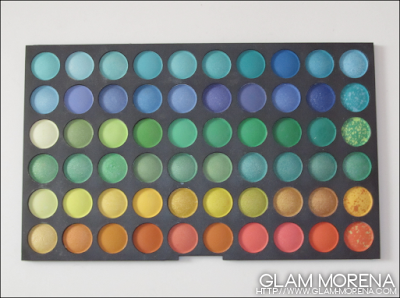 You can click here for 120 Palette Tutorial #1 and click here for 120 Palette Tutorial #2. I'm not a complete fan of the packaging. Only because I do find that it is bit tricky removing the different layers. I also was disappointed to see the ribbon that's used to help lift and remove the palettes was taped on. That just seems like a horrible accident waiting to happen. You're going to have to be extra careful when removing them. So whether you're just getting started in makeup or you just love colorful looks then I do recommend purchasing this palette. There are so many colors to choose from and you'll have endless possibilities when it comes to makeup looks. 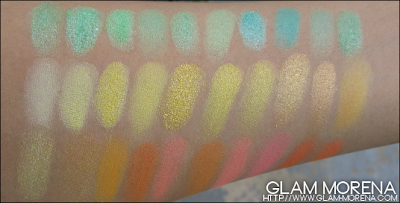 Now on to swatches of the entire Sedona Lace 120 Pro Palette! Do you own the 120 Eyeshadow Palette? Thoughts? I've been thinking about getting one of the 120 palettes but I feel like it'll just be another 88 palette for me - just sitting on my vanity collecting dust. I love the looks you did with it though! I'm pretty tempted now. We are glad you enjoy it thanks for the support!